today is the first day of school here in my little southern town. moms everywhere are filled with a mix of sadness and elation. we're not sure whether to cry because they are growing up so fast or throw a party because we actually survived the summer and will at some point possibly have five minutes to ourselves. first days are a huge deal no matter the grade level your children are entering. 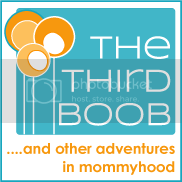 here are some ideas from mommy friends of mine as well as some i've used for my own kids. with my second starting kindergarten today, i'm pulling out all the stops. make their lunch something special. use cookie cutters to cut their sandwich into a special shape. put in a special 1st day dessert treat. most importantly, write something special on their napkin. a little note from mommy or daddy will mean the world to your child when they are away at school all day. if you have a kindergartener or a child with a bit of anxiety when leaving for the first day, cut out some paper hearts and put them into a secret pocket of their backpack. my daughter knows that if she needs an extra hug or a kiss during the day, her backpack holds several of each for her any time she needs them. try taking a dry run of the getting ready and going to school process the day before school starts. get the kids up early, get them dressed an out the door, even make the trip to the school car line. this will give your kids a little extra confidence on the first day. after the dry run, go out to a fun "last day of summer" family breakfast. get up with your kids and have breakfast together before they head out the door. remind them of who they are and how much you love them. we pray with out kids before they head out to school. investing a little bit into their self-esteem and into them as people can only help them as they have to spend a day with their peers. if it's possible, take them to school that first day. they may be fourth graders but they are still little. moms and dads are still important and taking the time to get them to school safely that first day translates into an extra bit of love...even for a 9 year old boy. stick an extra little something in their backpack for the first day. this could be as simple as a cute pencil for your little girl or boy or a new book for reading time. something small lets them know you are thinking of them, even in the middle of a crazy first day. let your kids pick out a special dinner for the night of their first day. a special dinner will let them continue the momentum of the day and it will also give the family a chance to hear all about how much fun the kids had at school. most of all, take lots of pictures. pose with your children before they leave for school. take pictures of them in their classroom, them with their backpacks, them with their friends. they may look at you like you are the most embarrassing person on the planet but you'll be glad you have them. whether they admit it or not, your kids will feel special as you commemorate each passing year in this way. i'm sure there are some amazing, creative people out there with even more outstanding ideas to share. please, let us know what has worked for you. we're all in this together...and first days can't be avoided, no matter how much we'd love to keep our babies small.